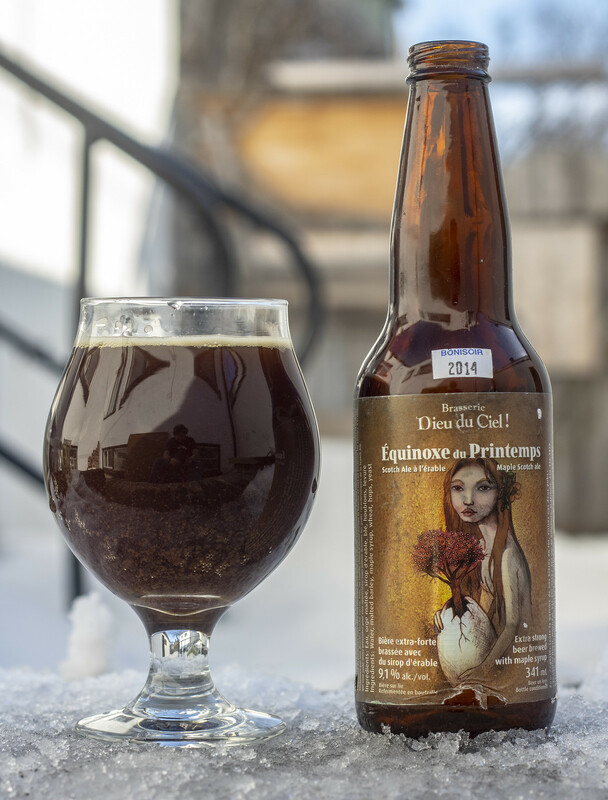 Today is the first day of spring so it only makes sense to review a beer brewed specially for the Spring Equinox, Dieu du Ciel's Équinoxe du Printemps. The thing is.. I bought this beer at Dépanneur Peluso back in April 2014, making this beer five years old! The main reason why I waited so long to open this beer was because I wanted to review this beer on the day OF Spring Equinox, which is today. Every other time I wanted to review this beer, it wasn't March 20th. This winter was hell on earth so being able to finally be able to go outside without freezing to death was quite nice for once. Appearance: Pours a murky brown with a light amount of carbonation and a light yellowish-beige head on top that's mostly clinging to the side of the glass. Aroma: I didn't expect much seeing that this is a five year old bottle, I was expecting the worst but it smells pretty decent still.. but I likely had it in the fridge for 4 of the 5 years so it didn't oxidize too much. The first thing I get is the maltiness of the beer - I get a mildly roasted profile to it with a rich boozy scotch/caramel aroma to it. The maple is fairly light yet noticeable and sweet. So far it reminds me a lot of Barley Wine as it's giving off a lot of the heavy boozy and malty notes I know and love in a classic Barley Wine. Taste: The first thing I get from the flavour is three flavours all hitting at once: the malt, which gives off a bit of a toasted/roasted flavour to it, the malt... again, giving off a sweet caramel/scotchy scotch flavour to it, and third, the maple syrup. This is sweet, boozy, lightly syrupy, lightly roasted and I'm definitely warming up a bit thanks to the 9.1% ABV booziness.. eep! The mouthfeel is fairly light, but boozy and light syrupiness. 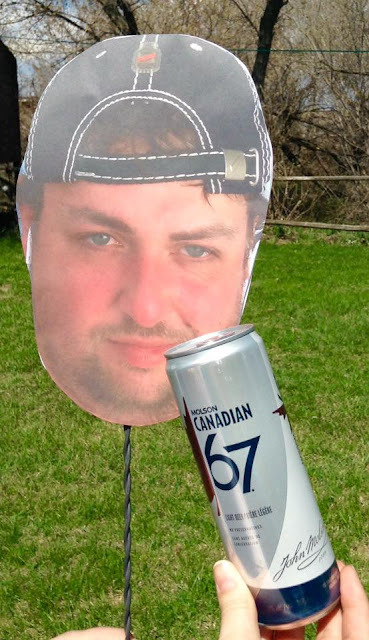 The aftertaste is pretty much like a smoked maple syrup taste to it. Overall Thoughts: After five years, it's held up pretty well.. but it's likely been in the fridge for the majority of the time so it's hard to know how this would be if I had this in a box the entire time.. but I've sampled some DDC from 2014/2015 recently that has held up well so maybe this would've too. This is sweet, boozy and lightly maple syrupy. Nice beer to drink on the first day of spring, even if it'll be a full month and half before it will actually feel like spring.. but thankfully the constant -20 weather is long gone! 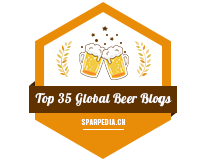 I reviewed this beer back in 2016, so check out my review here. Also, last Summer Solstice, I reviewed a five year old bottle of their Solstice d'été, check out that review here!